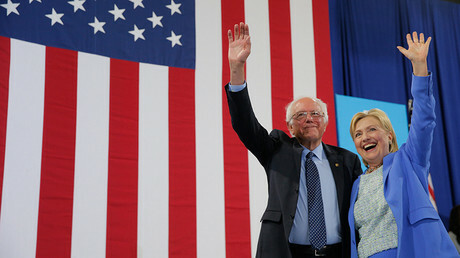 Democratic presidential candidate Hillary Clinton made forthright remarks about Bernie Sanders’ supporters during a private meeting with fundraisers, an audio from which has been leaked following an email hack. “There’s just a deep desire to believe that we can have free college, free healthcare, that what we’ve done hasn’t gone far enough, and that we just need to, you know, go as far as, you know, Scandinavia, whatever that means, and half the people don’t know what that means, but it’s something that they deeply feel,” Clinton said during a Q&A with potential donors in McLean in Virginia, in February, when she was still in a close primary race with Sanders. The frontrunner to become the next US President said that herself and other election observers had been “bewildered” by the rise of the “populist, nationalist, xenophobic, discriminatory” Republican candidates, presumably Donald Trump, on the one side, and the radical left-wing idealists on the other. Clinton painted herself as a moderate and realistic contrast to the groundswell. “I am occupying from the center-left to the center-right. And I don’t have much company there. Because it is difficult when you’re running to be president, and you understand how hard the job is – I don’t want to overpromise,” said Clinton, who has customarily eschewed political spectrum labels. According to the Washington Free Beacon, which posted the audio of Clinton’s remarks, the recording was attached to an email sent out by a campaign staffer, which has been hacked. It is unclear if the leak is the work of the same hackers who got hold of a trove of Democratic National Committee (DNC) emails in July. In the session, Clinton called for an “understanding” of the motives of Sanders’ younger backers, while describing them in terms that fluctuate between patronizing and unflattering. “Some are new to politics completely. They’re children of the Great Recession. And they are living in their parents’ basement. They feel they got their education and the jobs that are available to them are not at all what they envisioned for themselves. And they don’t see much of a future,” said Clinton, who obtained the support of about 2,800 delegates, compared to approximately 1,900 for Sanders, when the results were tallied in July. 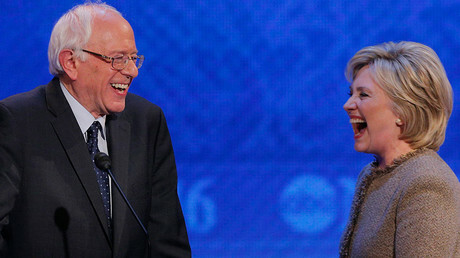 Despite well-publicized tensions, particularly between the more vocal backers, Sanders endorsed Clinton at the Democratic National Convention two months ago, and the two politicians have campaigned together this week, sharing the stage. In other parts of the 50-minute recording, Clinton spoke about US capacity to “retaliate” against foreign hackers that would serve as a “deterrence” and said she would be “inclined” to mothball the costly upgrade of the Long Range Standoff (LRSO) missile program.